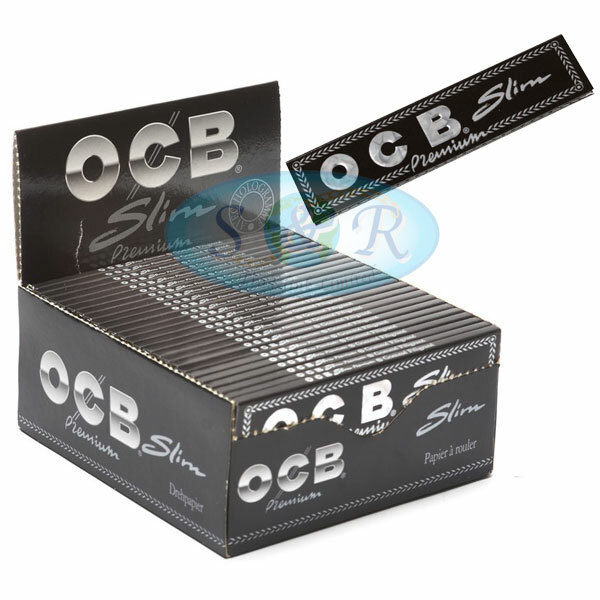 OCB Premium Kingsize Slim Rolling Papers have the silver holographic labeling with the distinctive black packaging, which sets the Premium Range out from the rest of the OCB ranges. Each paper is ultra thin, lightweight, easy to roll and burns slowly. These high quality rolling papers are close to transparency and burn down evenly. Each single leaf is made of a watermarked pure flax paper for quality assurance and Arabic Natural Gum that has been extracted from East Africa which is 100% Vegetarian Organic. A paper slip folded in with the leaves reminds you when you're running low. Also sold in Single & Multipacks.